It’s All About The Coconut! 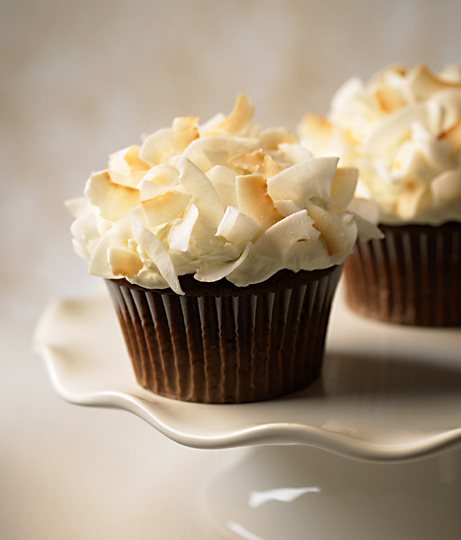 Frosted cupcakes piled high with coconut chips. Yes, coconut chips!! I came across them at a food show and thought they would make a beautiful complement to chocolate cupcakes frosted with vanilla buttercream. The best coconut chips are just pure dried coconut—organic, unsweetened and sulfite-free. You can eat them straight from the package, add them to your favorite trail mix, stir them into a fruit salad—be creative! Coconut chips may be a little harder to find than shredded coconut, but they are certainly worth the search. I found them at Trader Joes, and they are also available at natural food markets. Or, you can order them online. Here are a few online resources: Tropical Traditions, Nuts Online, or Melissa’s. I used to think fondue was a throwback from the 1970’s. 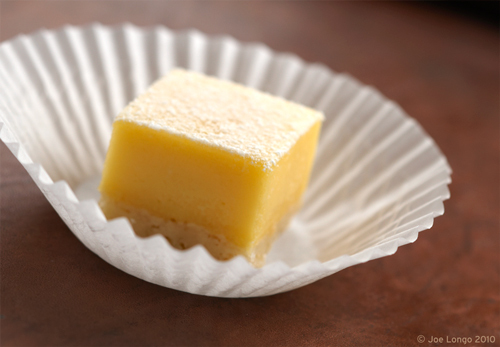 Remember those bright-colored earthenware pots with those tiny little forks? But fondue is not just a throwback anymore. Last week, I was in Trader Joe’s desperately looking for a quick, but interesting appetizer to serve to last-minute guests. In the cheese section, I happened upon a package of Swiss Beer Fondue that just called for heating and serving. Perfect! I don’t have one of those vintage bright-colored pots but, having a food background, I knew I didn’t need one. I figured I could heat the fondue in the microwave oven or in a double-boiler just before serving and it would be fine. And sure enough, it was. I served the fondue in small ramekins and when it needed to be re-warmed, I just put it in the microwave for about 15 seconds. I served the fondue with chunks of warm crisp sourdough bread and fresh veggies. Perfect with a cold beer or glass of wine. And my guests loved it! If you don’t have a Trader Joe’s in your area (you poor soul! 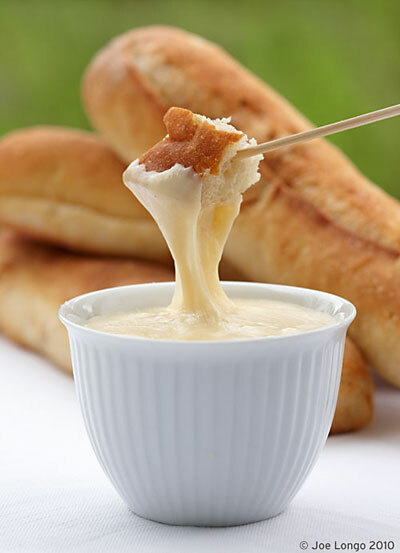 ), I have noticed pre-packaged cheese fondue in the produce sections of supermarkets. Another way to “fondue” is to make a dessert fondue. Dark, milk or white chocolate fondues are delicious served with strawberries, pound cake or angel food cake cubes, biscotti, ladyfingers, marshmallows, banana chunks, pretzel rods, and more. Flavor the chocolate with your favorite liqueur or extract. – Heat cream in small heavy saucepan over medium heat just until small bubbles appear around edge of pan. DO NOT BOIL. – Remove pan from heat; add chocolate and stir until chocolate is melted. Stir in liqueur, if desired. – Serve warm directly from pan. If fondue gets too thick, thin with 1 tablespoon heavy cream.